We are proud to announce that partners Howard L. Gum, David R. Hillier, and Patrick S. McCroskey have been included in the 2017 edition of Best Lawyers in America©, and that Patrick McCroskey has again been named Asheville’s 2017 “Lawyer of the Year” in Family Law. 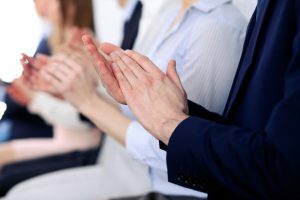 “Lawyer of the Year” recognitions are awarded to individual attorneys with the highest overall peer-feedback for a specific Practice Area and geographic location. Only one lawyer is recognized as the “Lawyer of the Year” for each specialty and location. Howard Gum has been included in the list since 1993 and was named Asheville’s Lawyer of the Year in Family Law in 2014. Patrick McCroskey has been included in the Family Law Section of the list since 2007 and was named Asheville’s Family Law Lawyer of the Year previously in 2015. David Hillier made his appearance on the list first in 2008 and was named Asheville’s Bankruptcy “Lawyer of the Year” in 2013. Best Lawyers© compiles lists of outstanding attorneys by conducting exhaustive peer-review surveys in which thousands of leading lawyers confidentially evaluate their professional peers within the same legal practice area and geographical area. In the U.S., Best Lawyers© publishes an annual referral guide, The Best Lawyers in America©, which includes almost 55,000 attorneys in 80 specialties. 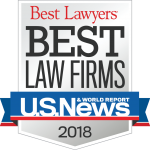 Founded in 1981 and first published in 1983, Best Lawyers© is the widely considered the most respected peer rating publication in the U.S.
Howard Gum has been practicing family law and serving clients throughout Western North Carolina since 1976. 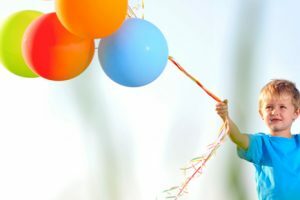 He is a North Carolina Board Certified Specialist in Family Law and a Fellow of the American Academy of Matrimonial Lawyers. Howard has been included in the Best Lawyers in America© list continuously for more than 25 years. He has been recognized by Super Lawyers™ continuously since 2006 and twice on their prestigious “Top 100” List. He is an AV Preeminent Peer Review Rated Lawyer from Martindale Hubbell and is included in the Bar Register of Preeminent Attorneys. David Hillier is a North Carolina Board Certified Specialist in Bankruptcy Law serving clients throughout Western North Carolina. Dave has consistently been recognized through peer review in the Business North Carolina Legal Elite, in Best Lawyers in America© since 2008, in Super Lawyers™ since 2011, and holds an AV Preeminent Rating from Martindale-Hubbell. He is the 2004 recipient to the NC Bar Association’s Centennial Award for Community Service. Patrick McCroskey is a North Carolina Board Legal Specialist in Family Law and Fellow in the American Academy of Matrimonial Lawyers. Patrick has consistently been recognized through peer review in the Business North Carolina’s Legal Elite, and in Best Lawyers in America© since 2007. He was listed in Super Lawyers Super Lawyers™ Rising Stars in 2009 and on their main list since 2012. Patrick holds an AV Preeminent Rating from Martindale-Hubbell.